Businesses have always raced to keep up with changing customer expectations, but since the turn of the century, something remarkable has happened. A series of rapid technological advances have contributed to the transformation of customer expectations while simultaneously providing enterprises with the digital tools to create the beguiling experiences that are now needed to satisfy customers. 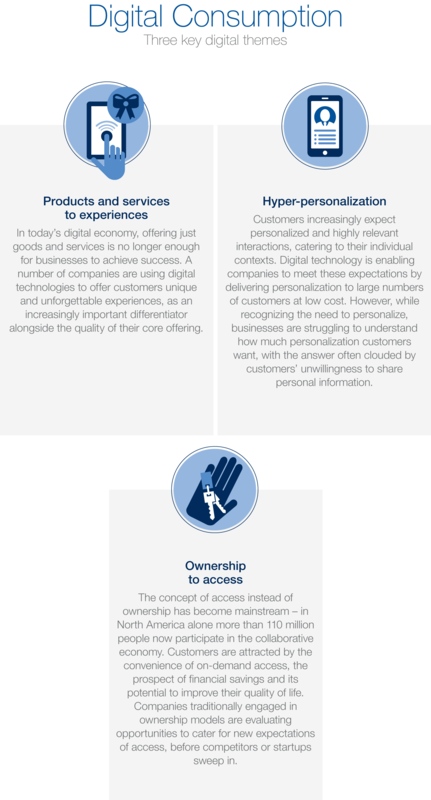 Today, companies are offering experiences that customers would not have imagined were possible five years ago, let alone become a part of their everyday lives. The race to deliver what ‘on-demand customers’ want has sped up dramatically. Both B2C and B2B customers are forming their expectations of product/service quality around the speed, convenience and ease of use offered by their perceived leaders in customer experience (e.g., Uber, Apple and Amazon). These expectations now transcend traditional industry barriers, with customers expecting similar quality of experiences across the products and services they consume. All enterprises – whether in the B2C or B2B world, whether in developed or emerging markets – need to focus on meeting and exceeding customer expectations. The need to provide a customer experience that competes both with rivals in the same industry and best-in-class companies across sectors leaves business leaders with plenty to think about. As the rate and scale of disruption accelerates, and customer expectations evolve, companies face an increasingly important need to change the way they track and respond to customer expectations. This presents some specific and urgent questions for companies to answer. These include how businesses can best combine digital tools with techniques such as design thinking to assess customer expectations; build agility into revenue models; identify the right digital tools to deliver outcome-driven experiences; incentivize customers to share data in exchange for personalized services; and position themselves to profit from the shift in customer preferences toward access-based models. Digital consumption is one of four cross-industry themes (along with digital enterprise, societal implications, and platform governance) that have been the focus of the World Economic Forum’s Digital Transformation of Industries (DTI) 2016 project. An overview of the DTI program can be found here. Our in-depth analysis of the digital consumption cross-industry theme is available in a white paper, which can be downloaded here.